Last minute flight: Berlin-Tenerife for only €58! UPDATE 1.5.: price dropped to €58 for new date 4.5.-11.5! Opodo now offers last minute flight to Teneriffe for amazing price. 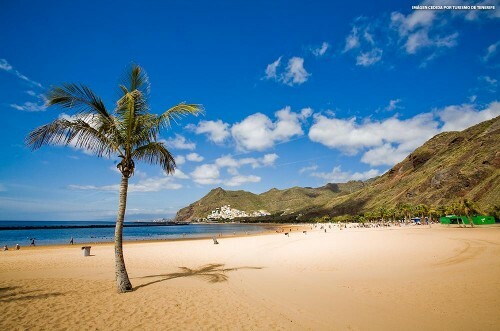 Return flight from Berlin Tegel to Tenerife South is available for only €63! This price also includes check-in luggage! Flight is operated by Air Berlin. Regular price would be €462 today if you book directly with Air Berlin! Book here fast before it’s gone! Tenerife offers plenty of accommodation which is quite cheap at the beginning of holiday season. There are options for both luxurious and budget hotels from just 20€ per night. Tenerife is not big but also not really small island so renting a car to explore it a bit is a good idea. You can get lot of deals due to high competition of car rental companies. The prices are pretty low and it gives you great flexibility during your holidays. « Cheap flight to Japan: Tokio for only €309!